Microsoft Windows 10 for desktop, the successor to Windows 8.1, comes in two versions: Windows 10 Pro and Windows 10 Home. This is a stark contrast to earlier versions of Windows, which came in as many as seven editions. Of the two editions, Windows 10 Pro, as you may have guessed, has more features. Unlike Windows 7 and 8.1, in which the basic variant was markedly crippled with fewer features than its professional counterpart, Windows 10 Home packs in a large set of new features that should suffice most users' needs. 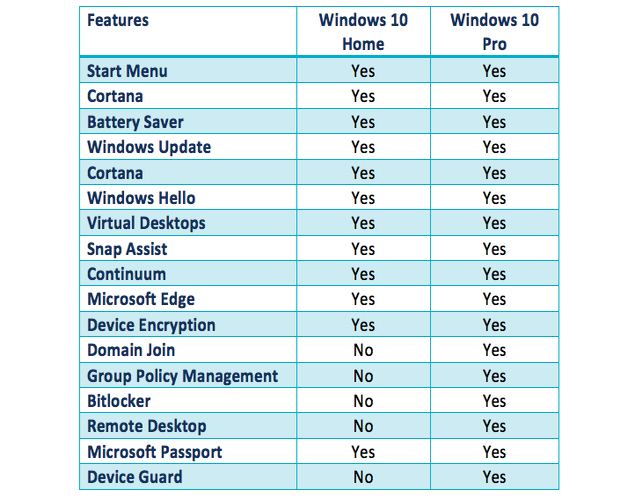 This begs the question, which among Windows 10 Pro and Windows 10 Home is the right version for you.